OxySpy® is an ergonomically designed Oxygen analyser, especially designed for technical diving. 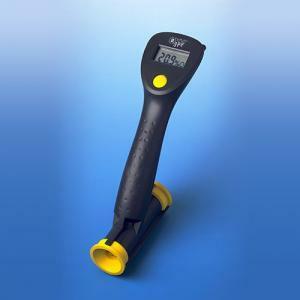 OxySpy® offers you comfort and reliability in analysing your breathing gas. Due to its unique design, it is the perfect “personal” analyser for trained and certified Nitrox divers. Development and production of the swiss made OxySpy meet a very high quality standard. Therefore, a limited warranty for defects is given for a period of 2 years (oxygen sensor and battery excluded). Download the manual for the OxySpy® here.